Simple but warm community owned and run lodge with a lovely location on a prominent ridge overlooking the western sector of Madikwe. Madikwe Game Reserve is one of the few malaria-free reserves in Southern Africa – so you can enjoy your safari without worry. 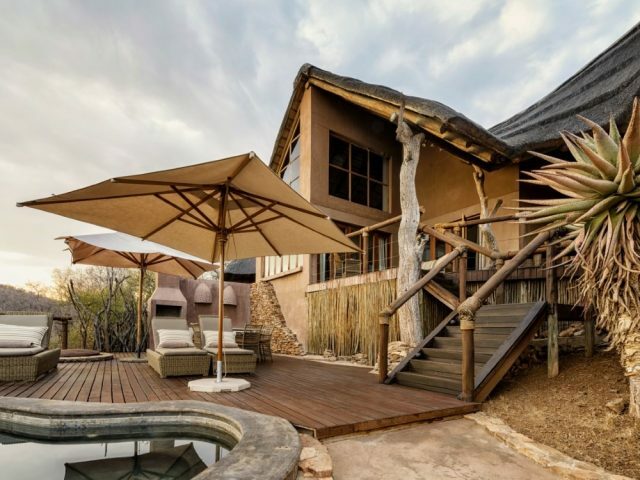 Buffalo Ridge is one of 2 lodges in the Madikwe reserve that is community owned, meaning you can sit back, relax, and enjoy your stay at the lodge knowing that it’s all for a good cause. South Africa’s history is a dark one, marred by the blight of Apartheid. The local people of this region – the Balete – lost most of what they owned, including the land that they had lived on. Removed from their ancestral lands and resettled into Lekgophung, the establishment of the Madikwe reserve resulted in the opportunity to return to the land in the form of this lodge, a partnership between North-West Parks, the community and lodge operators The Nature Workshop. And apart from owning the lodge, it also provides a host of employment opportunities for the Balete with the lodge being run and managed by members of the community. 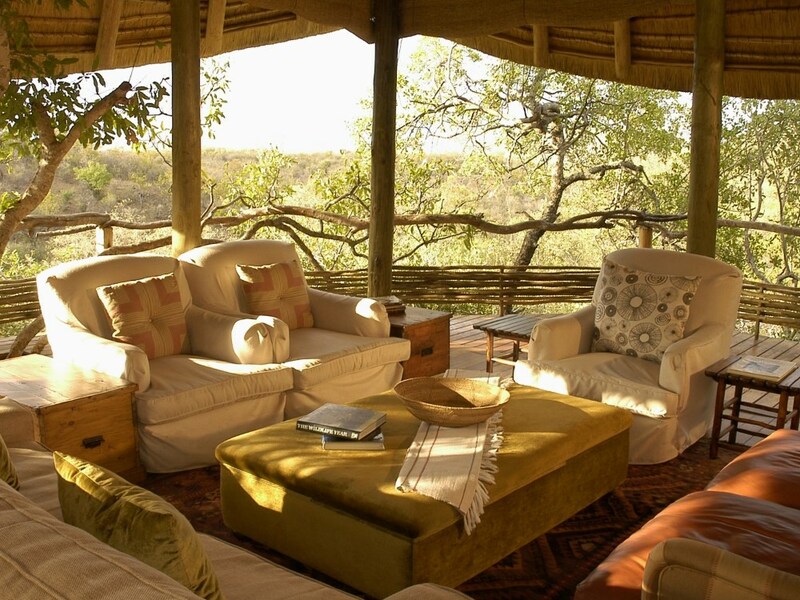 Buffalo Ridge really is beautifully located - sitting high on the Tweedepoort Ridge of the Madikwe Game Reserve, the lodge offers stunning views of the plains and inselbergs of the western Madikwe that are home to some of the best wildlife viewing in South Africa. This view is an ever-present element when you’re at the lodge: at breakfast, lunch and dinner, meals are held in the elevated dining room, giving diners a spectacular view as they dine on the simple yet mouth-watering meals typical of Buffalo Ridge. One memorable treat we had was having dinner by fire-light under the stars. So far from the pollution of cities, the views of the Milky Way are absolutely breath-taking, and Buffalo Ridge makes full use of their location. The other stand-out about Buffalo Ridge is its intimacy and seclusion. With only eight suites in total, there’s a very definite feeling of exclusivity to the lodgings, and as the chalets are built on a separate tier to the main lodge you get a distinctive feeling of having your very own personal suite right in the bush. Each chalet follows this theme of making you feel like a VIP: these thatched suites each have their own private viewing deck. 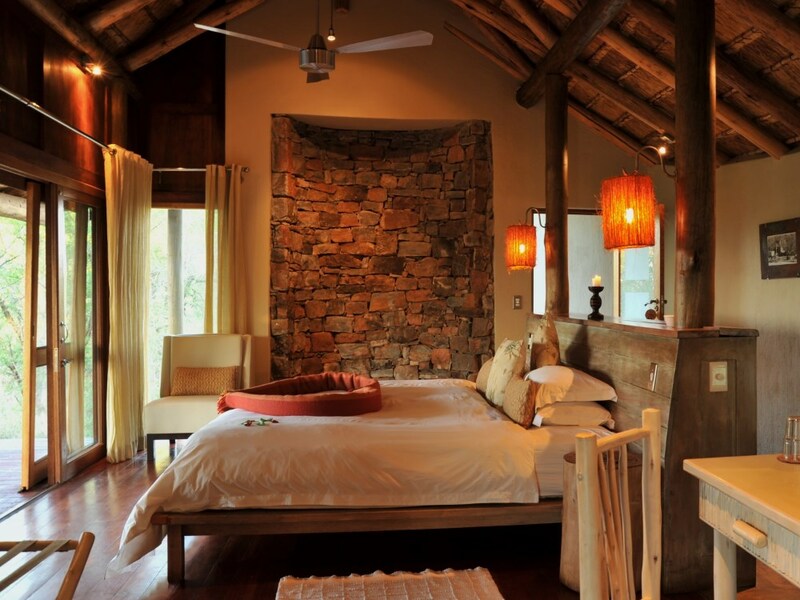 The rooms themselves are spacious and neat with simple and quite rustic décor touches. 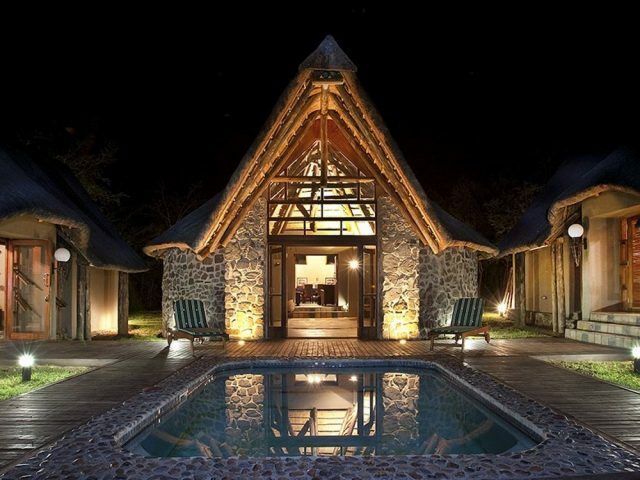 Thatch roofing and soft sandy tones work beautifully with the set rock inlay of the walls and the chalet’s authentic indigenous wooden counters and pillars to inspire a feeling of being a part of nature. This feeling is underscored by the design’s focus on openness and airiness: sliding doors open out fully on to a deck with seating where you can relax and admire the views; the walk-in showers also add to this feeling of spaciousness. 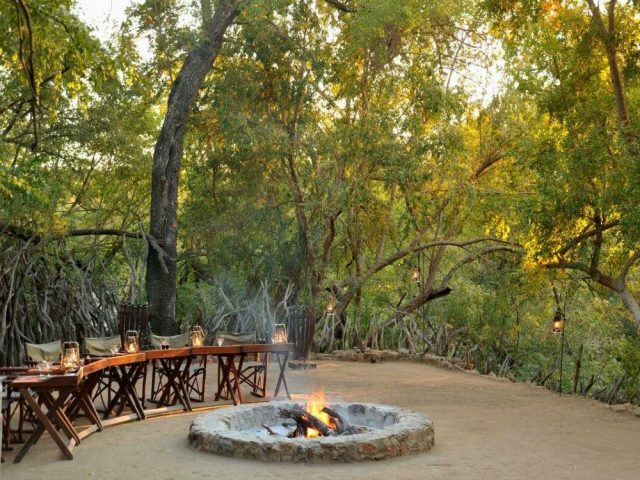 The game-viewing at Buffalo Ridge is superb, much like most safari lodges in Madikwe – but what makes Buffalo Ridge different are the rangers. Locally sourced and trained from the community, they show an obvious love for this, their home. The Big Five are all present and accounted for, as well as plains game (zebra and antelope in droves! ), and none of them escape the professionalism eye and bush skill of your guides. These rangers – in fact, all the staff – show a keen knowledge of local flora, fauna and history. Whether you want to know more about the elephant herd you just saw or about what the history of the Balete tribe is, you’ll always be able to find an interesting answer, delivered with a smile. As an added bonus, the Madikwe reserve is utterly free from malaria which is a big plus for families especially. Speaking of which, Buffalo Ridge is a lodge where kids are genuinely welcome! So if you’re looking to stray away from the well-worn path of uber-luxurious commercial safari lodges, you could do a lot worse than consider Buffalo Ridge. The people here are the true stars of the show (well, the excellent wildlife variety and well-appointed rooms play equally good supporting roles). Friendly, helpful and always ready to go the extra mile, their investment in the land (their home and community business) really shines through into the friendliness shown in their interactions with guests. Knowing that your stay is helping them to thrive and seeing how happy they are to have you in their home makes a stay at Buffalo Ridge memorable for all the right reasons. With just 18 rooms, this is one of the few smaller and more personal lodges in the Pilanesberg - as opposed to the larger “bush hotels” typically found here.